A favorite of the ancient Romans, Campania is beautiful inside and out. You will fall in love with its fertile landscapes and perpetual springs, as well as the art and aromas of its tables. Modern travelers can still experience all that the Romans loved about Campania, via a range of natural, artistic, archeological and culinary tours organized by Well Arranged Travel. Campania claims some of the most charming places in Italy, including Mt. Vesuvius, the towering volcano alive with lush vegetation; and the Amalfi Coast and the Sorrento Peninsula, with their world-famous coastal towns, thermal spas and fishing villages. The coastline also boasts such hip hangouts as Positano, the setting of the 1960s cult classic, La Dolce Vita; and Ravello, a favorite haunt of such artists and intellectuals as Greta Garbo and Richard Wagner. You must also visit Naples to understand the essence of this region. This lively, friendly, sunny city is full of artistic and cultural gems, with its theaters and museums, monuments and palaces, and quaint alleys and coffee shops. Naples sums up the region’s past, and offers living proof of the populations that ruled this area over the centuries, from the Anjou dynasty to the Bourbons. Most discussions of Campania food starts and ends with pizza, invented by a Neapolitan cook at the end of the 19th century. “True” pizza is made using two typical Campania products: San Marzano tomatoes and Fiordilatte mozzarella. Other tasty seafood dishes are prepared along the coast and on the islands, such as the mussel dish pepata di cozze. Limoncello di Capri, a liqueur made from lemons grown on its namesake island, is a great finale to any meal – and your stay in Campania. Well Arranged Travel, a tour operator offering upscale and luxury tours in Italy: private day tours, group tours, Italy vacations with complete Italy tour packages. Looking for a private tour of Pompeii and Herculaneum? They offer expert tour guides for tours of Pompeii, Herculaneum, Naples, Paestum and more. They have licensed tour guides for Pompeii, Herculaneum, Paestum and all of Campania. Customized your private tours with their travel consultants and include destinations like Sorrento, Positano, Capri, Amalfi and Ravello. Inquire. You may also book a day trip from Rome to Campania. They offer day tours from Rome to Naples, Sorrento, Amalfi Coast to Positano, Amalfi and Ravello or Paestum. They offer private Pompeii tours as day trips from Rome with expert licensed Pompeii tour guide. Herculaneum and Paestum private tours with expert licensed tour guide are available. Shore excursions and private tours from Naples, Sorrento, Capri, Amalfi Coast (Positano, Amalfi, Positan, Sant’Agatha are offered. Just like they offer private tours of Pompeii and Paestum, they also have private tours of Herculaneum and Mt. Vesuvius. Private tours from Rome, Sorrento, Naples and Amalfi Coast are available with private tour guides and luxury vehicles. We have excellent licensed tour guides for Pompeii, Herculaneum, Naples and Paestum. We offer custom private tours of Pompeii, Herculaneum and Paestum. Our tour guide also conducts excellent tours in Naples, Caserta, Sorrento, Amalfi Coast to Positano and Ravello. Please also note that we have services for big private groups. Tour guides, coaches, escorts are available. Various sizes of buses for transfers and tours are available in Italy. We have buses to take you on a private tour of Naples, Pompeii, Herculaneum, Mt. Vesuvius, Sorrento or Amalfi Coast. We have services from all the ports in Italy for shore excursions or private tours from Positano, Naples or Capri. We work with travel agents as well. Contact us or your shore trips, private transfers and pre and post cruise packages. Well Arranged Travel offer upscale group tours in Italy in small groups. They offer upscale Italy tour packages or Italy vacation packages which are all escorted tours. Their upscale Italy group tours to Sorrento, Naples and Amalfi Coast with Rome is a popular tour. An escorted Italy group tour to the Amalfi Coast with a tour of Pompeii, Capri, Amalfi and Positano is highly recommended. 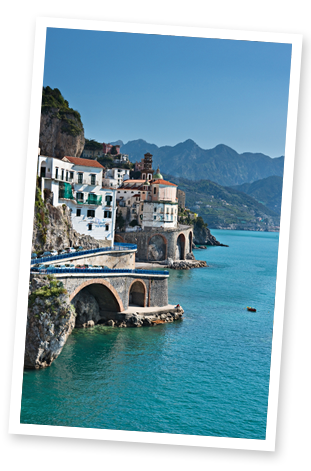 Join one of their upscale Italy small group tours. Contact Well Arranged Travel to secure your hotels in Italy, book your private guided tours and day trips, secure tour guides anywhere in Italy. Drivers are available in Sorrento, Naples, Amalfi Coast or anywhere in Italy. They also custom design Italy itineraries for hassle-free Italy vacations. Inquire.